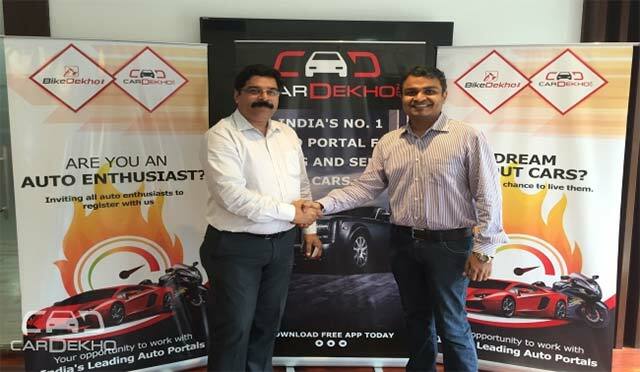 Girnar Software Pvt Ltd, which owns CarDekho.com, Gaadi.com and Zigwheels.com, has acquired roadside assistance (RSA) provider Help On Wheels Pvt Ltd in an all-cash deal. The move will bolster the operations of Girnar Software’s RSA vertical. Help On Wheels’ team, comprising more than 50 members, will join Girnar Software while its founders will report to Ankur Agarwal, AVP - new cars at Girnar Software. Girnar Software started its RSA vertical a few months ago and claims to have over 8,000 users. Help On Wheels was founded in 2014 by Lalit Parmar and Nirmal Mitra, and claims to have more than 50,000 customers. “Help On Wheels will help our roadside assistance business scale faster, not only by giving us an established service network and client base, but also through the decades of experience its team brings to the table,” said Agarwal. Girnar Software, founded in 2007 by siblings Amit Jain and Anurag Jain, owns BikeDekho.com, TyreDekho.com, and BuyingIQ, in addition to CarDekho.com and Gaadi.com. It had also bought Zigwheels.com from Times Internet in September 2015. The six portals collectively attract 30 million unique visitors every month, Girnar Software claims. In December last year, it acqui-hired augmented reality startup Drishya360s for an undisclosed amount. Last month, Girnar Software secured an undisclosed amount of investment from Google Capital as part of its extended Series B funding round, with participation from existing investor Hillhouse Capital. In January 2015, it had received $50 million in the first tranche of its Series B funding round led by Hillhouse Capital, with participation from Sequoia Capital and Tybourne Capital. The investment was done at a $300 million post-money valuation. HDFC Bank and Ratan Tata had also invested in the firm last year.